Since a longer time I kept an eye on companies in Far East. Ok not every one started maybe as a garage brand. Some of them are only designer, but they make really cool stuff. So let’s start with a short introduction how I got in contact with one of these cottages. It was January 2012 when I got in contact for the first time with a Japanese cottage. 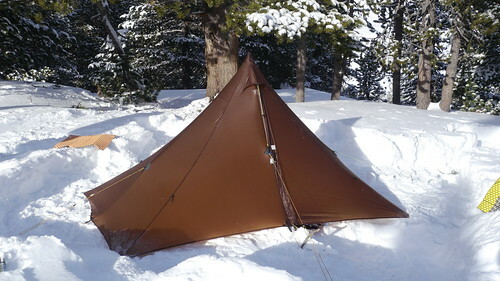 In that time I was looking for a pyramid shelter, and the only one I have known at this time was the MLD DuoMid. But thanks to Flickr I became aware of another pyramid shelter. The Locus Gear Khufu. There was a photographer on Flickr and he made awesome photos of this pyramid shelter. But there was still the question. How good is the quality of this unknown tent. On the one hand there was the DuoMid which was sold dozen of times and on the other hand there was the Khufu which looked perfect on photos, but was a bit more expensive. I precipitated the right decision and gave this young cottage in Japan the chance and ordered a pyramid shelter. And there where only two reasons why I did it. The brown fabric of this tent looked more beautiful on night shots and there was a shorter waiting period to get the tent. And I only can say thumbs up. The quality is superb! It was the right decision to get give that (more me at that point) unknown company a chance. OK that was the short story how I got in contact with a Japanese cottage. Since that time I kept an eye on the Japanese UL community, the cottages and all others, because the are also some interesting ones in Honkong. There are so many lovely people and their community is still growing. I am also with some people in contact via social medias and I hope to visit Japan one day to meet some of the nice guys. I was a pleasure for me to go with Jotaro the founder of Locus Gear two years ago on a hiking trip in the Swiss Alps. What I also really like that many of them make their own gear with the finest fabrics and the result of this is sometimes that they establish their own small cottage with hiker accessories and other stuff. Personally for me it is a bit difficult to place an order, because most of these websites are in Japanese and the Google translation is really poor, but it works. To get some impressions I have listet a few of the cottages I found with some infos what they produce. At first in my opinion the biggest and most popular cottage is Locus Gear. Locus Gear has a big portfolio of finest ultralight equipment. You can get their seven different tents and two tarps with really cool fabrics. The newest one is the Locus Gear Khufu with metalized Cuben Fiber. Furthermore they offer a bivy bags, a synthetic warm quilt and really stable Carbon Fiber trekking poles. The Locus Gear website is available in Japanese and English language and when you order you can pay with Paypal. Next I wanna intoduce you Ogawand. Ogawand has a bit smaller assortment then Locus Gear. If you are looking for a cool pack in DXG you are at the right place. The OWN is the main pack from Ogawand and if you like it lighter you can get the OWN-Light. You can choose between several pack options and you can get there small storage bags and stuff sacks in Cuben Fiber or other fabrics. The website is Japanese, but all important headlines are translates into English as well. If you place an order you can also pay via Paypal. Next I wanna present you Ridge Mountain Gear. If you are looking for small bags, pouches or shoulder bags your are at the right address. At the moment they do not ship overseas, but I hope they will do in the future, because I really like the shoulder bag. This small cottage makes really cool alcohol und Esbit stoves. The only bad thing is that this company is so small that they do not have an own official website with a shop. But no worries. If you wanna buy one of the cool Sanpo stoves you can get them in Japan’s best-equipped UL shop Moonlight-Gear. If you prefer a titanium gear on trail, please have a look a Sola Titanium Gear. This company is also really small, but you can see some updates an news at the fantastic blog. 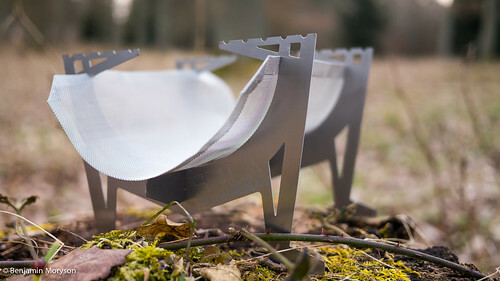 The Sola Titanium Gear Super Naturestove #1 and the Super table #1 is also sold bei Moonlight-Gear. Coming now to another cottage which is a bit bigger and has a larger range of equipment in their shop. The name of this cottage is Yamatomichi. They have some interesting packs in their range with different volume and fabrics. Another really interesting piece of gear is the 5 pocket hiking shorts, which weighs only 3.4oz. Furthermore you can get foam mats ind different sizes and stuff sacks for your gear. The website is in Japanese language and all headlines are translated in English as well, but if you wanna know further information you need the help of Google translation or you write an email with your request. The name of this cottage sounds really German, but it is also based in Japan. Wanderlust Equipment has a variety of finest ultralight gear for several activities. They offer three different packs, stoves, tarps and lots of accessories. Really cool is the tyvek baguette sack for maybe a hiking trip in France. 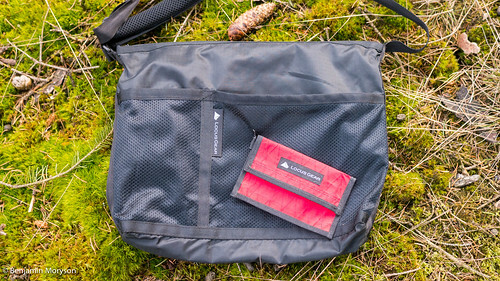 Last but no least Wanderlust Equipment also offers a small frame pack for backpacking. This is also a shop where all headlines are translated into English, but here you can pay with Paypal which makes it a lot easier. If you have is a very little small cottage, but with a few cool items. A small wallet where you can store your cards, a key and some coins. 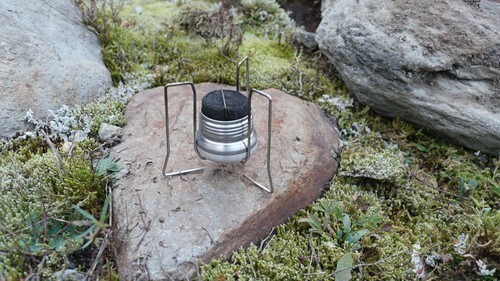 Furthermore you can find in the shop an ultralight pot with lid and stuff sack and the stove for this pot. 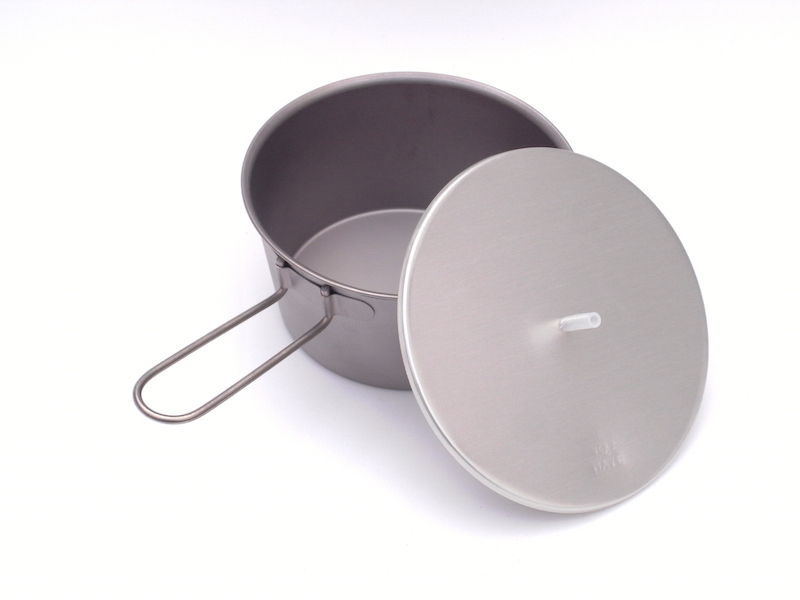 The pot and the lid have an interesting weight with 67 for 453ml and the handles are removable. As the most shops all important things are translated into English, but if you wanna pay you must use Google translation. With KS Ultralight Gear we have another cool cottage with a big range of different packs. You can find SUL packs, packs for climbing, daypacks and you can choose between strong fabrics like X-Pac which are perfect for climbing or Silnylon fur really light packs. What I really like is that you have lots of options to customize your pack. Furthermore KS Ultralight Gear offers a bigger waist pocket as a supplement for the pack or as a small pocket for a day trip. Simple rectangular tarps are also in the shop available and lots of nice accessories. This shop is completely in English and you can pay via Paypal. If you like outdoor equipment with crazy colors then have a look at the online shop from Picharpak Workshop. They have anything you need. Bright colored tarps which are anything, but not stealth (they look crazy and cool). Utility Packs and stuff sacks in all colors and shapes and lots of other accessories for your equipment. This website is in English and you can pay via Paypal. The cottage from Tara Poky is really young and the shop is filled with some small things at the moment, but I guess there will be more cool stuff in the future, because all the stuff she did in the past before the shop was excellent. 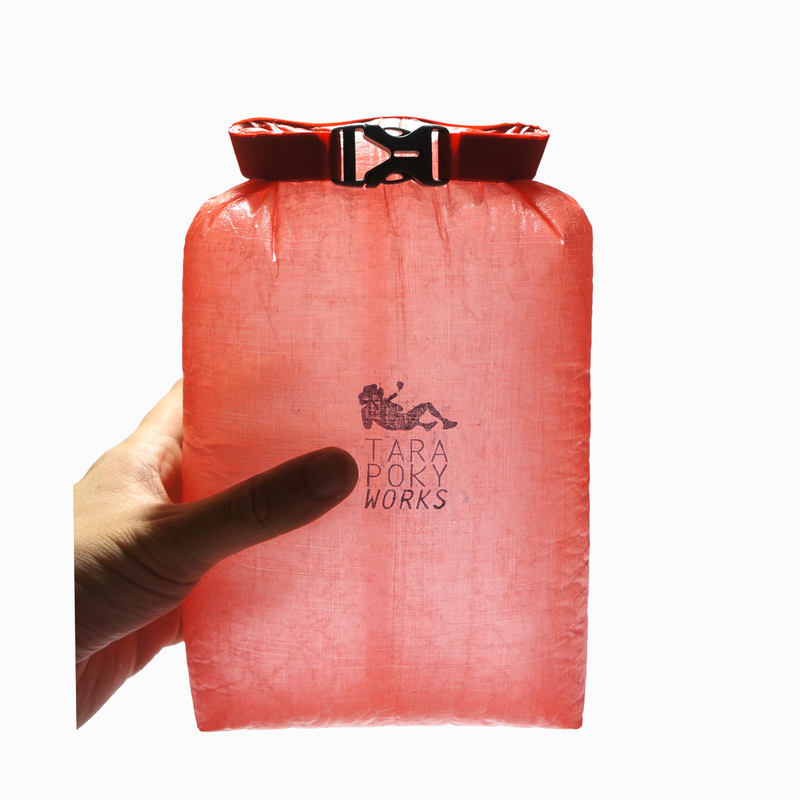 For the moment she offers pouches in different sizes and fabrics, cool straps for your cam maybe and different styles of stuff sacks in Cuben Fiber and Silnylon. The website is completely in English and you can pay with Paypal. Ok that’s it for the moment. If I have forgot a cottage which is baed in another country or you as my reader are the owner of a cottage in Far East, please feel free and contact me, so I can add you to the list with a short description.